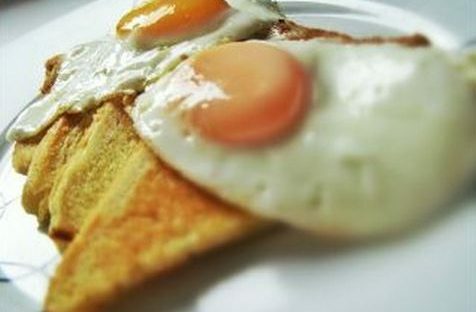 Steam-fried eggs over easy, over olive oil fried bread: Years ago when I couldn’t boil water, let alone imagine I could cook anything in it, I remember Delia Smith, one of the UK’s popular television cooks, being derided for teaching us all how to cook an egg. I was quite frankly, very grateful for her instruction and ever since I have been perfecting my egg cooking skills. Eggs are cheap and can be whipped up into all sorts of wonderful culinary delights. In our house they are greedily consumed for breakfast, lunch, dinner, supper and snacks either fried, boiled, baked, poached or scrambled. That, in an ‘eggshell’, is why we love eggs – they are so versatile! One egg is packed with as much protein as one ounce of meat or fish. Egg yolks are an excellent source of brain healthy nutrients: Vitamin B1, B2, B3, B6, B9 and B12, vitamin A, D and E, potassium, selenium, magnesium and omega-3. China produces most of the worlds eggs. Japan consumes most of the worlds eggs with each person eating up to 60 dozen per year. One standard egg contains 70 calories. World Egg Day is on October 10th (make a note your diary). The chef’s hat, called a toque, is said to have a pleat for each of the different ways that you can cook an egg. 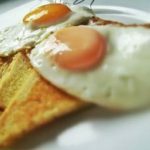 You can find more eggy facts at the Incredible Edible Egg website, solely dedicated to this most amazing food. You know, it’s just occurred to me that I might be missing Easter and the basket of mini chocolate eggs that I finally finished off yesterday – but I digress. The other week our home was filled with great friends from home (U.K.) and one morning while I was preparing breakfast, attention was drawn to the way in which I fry my eggs. I remember when Enzo and I ran The Depot Café on Merritt Island, Florida, there being a fascination for my fried eggs, especially when 99.7% of the time, they turned out perfectly. Enzo remains confined to his bed with ‘The Dreaded Lurgy’ and being the dutiful wife that I am (sometimes), I have delivered a plate of my fried eggs to him this morning, but not without recording the whole process with a series of photographs for you. Actually, we should call them ‘steam-fried’ eggs. Drizzle about 2 tablespoons of olive oil into a frying pan. Add a pinch of salt and swirl everything around the pan to cover the base, then heat over a medium to high heat. While the pan is warming, slice some medium to thinly sliced bread. Dip each side of each slice into the salty oil to coat. Fry on each side for about 1 minute until golden brown, then set the fried bread aside and keep it warm while you prepare the eggs. Drizzle a little oil (we use Enzo’s olive oil) into a frying pan. Warm the oil a little over a medium to low heat and crack in your desired quantity of eggs. The egg whites will start cooking immediately. then turn off the heat and keep the lid on the pan, lifting only to check that your eggs are cooking to the stage you like best, soft, medium or hard. If you’re concerned that your steam-fried eggs aren’t cooking enough, turn the heat back on under them for about 30 seconds to warm the pan again. 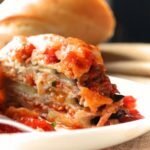 Keep the lid on and allow them to cook until you are ready to serve. The whole process takes about 5 to 6 minutes. 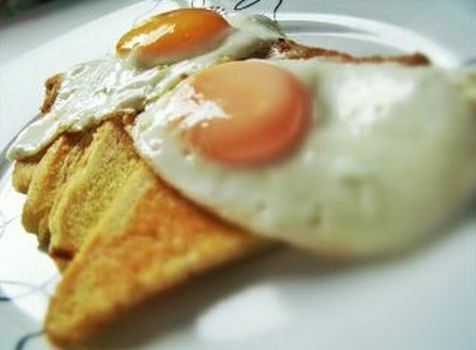 Once you gain confidence, you’ll be able to prepare your plate of ‘steam-fried eggs over easy, over olive oil fried bread’ and at the same time ‘coddle’ a few. How to coddle your eggs will be our next post …. I bet you can’t wait!